Engaging Past Clients: Social Strategy and 25 Content Ideas to Clarify Your Focus | iSocialimpressions. This is the decade of interaction and connection. The world is my neighborhood. My husband I bought a house earlier this year. How did we pick our REALTOR? I’ll tell you more in a moment, but I was one of those “revered” past clients you love to have come back, years later. Now that you’re thinking about the special reward of hearing from a past client ready to buy or sell (or both!) once again, think about how many families you have helped in your career. Have you talked to each of them this past month? Do you have a completely current past client database including phone, email, employment, spouse, children, pets, hobbies, vacations, and notes about past conversations? Sound like a lot of work? This is EXACTLY what Facebook lists can accomplish for you. You are going to love this! I recommend if you haven’t done so, use Facebook Search to see if ALL your past clients are on Facebook, and add them to a list. (Call it Past Clients.) Let them hear from you frequently. Weekly is excellent! Treat them like a community. Engage. Share. Be their expert about their neighborhood, about timely home safety and maintenance, and share the victories that set the tone for a successful closing for each of them. Every client is a success story, so tell the story (omit private or personal details of course), but give them some “fan love” and be sure to tag them. Keep up with their FB details and engage with them on their page too. Believe it or not, Marc Prestera, the REALTOR who sold my home eight years ago, has been in regular contact with me, when I left California for the Pacific Northwest. He called me regularly, every month or so, keeping up on my life, and sharing what was new in his business, as well as the shared interest (a volunteer organization) where I met him in the beginning. I never intended to move back to San Diego when I left, but life has a funny way of coming full circle. Since I had a great selling experience and a regular easy rapport with Marc, it was the most natural decision to once again ask him to be the real estate expert that he is, for my newest home. 1. What is your favorite Thanksgiving (Christmas, New Years) memory in your home? 2. Who has a unique holiday family tradition? 3. What do your kids enjoy most about your home? 4. What was the first room you decorated when you moved in? 5. What home improvements are you enjoying? 6. Have you become a fan of @HouseLogic? Did you know Houselogic.com has a lifetime homeowner binder to record maintenance, upgrades, and seasonal care? 7. What’s your home’s best feature? 8. What’s your favorite spot in your neighborhood? 9. What surprised you the most (in a good way) after moving in to your new home? 10. What do you like most about Halloween? 11. Post a pic and tell us about your family pet. 12. What is your favorite Costco item, and why? 13. What is your favorite Trader Joes item, and why? 14. Who was your first (or most recent, or longest-known) Facebook friend. What makes them special to you? 15. Have your kids earned any special awards lately? 16. Who was your childhood hero? Why? 17. What do your kids want to be when they grow up? 18. Do you dream about starting a business someday? 19. Who has a teen that wants odd jobs? Who needs help on a weekend project? 20. What is your favorite worthy charitable organization, and how can people volunteer? 21. What famous people have you met in person? 22. Is there anything you are wondering about that I can direct you to, or information I can track down for you? 23. What advice would you give to home buyers today, based on your personal experience? 24. What advice would you give home sellers today, based on your personal experience? 25. Did you know I have a client reference tab right here on my FB page? Would you care to comment there? Hi Carol. Several of the 25 were winter-seasonal when I wrote the post. I agree with your ideas, and if you are brainstorming after reading this post, that was my goal. I have met very few Realtors that use social media with past clients, in a list like this. Hope you’ll try it and report back how well you stay top of mind with folks that already like and trust your professionalism. Bonus: For many, you’ll be visible to their friends when they reply to you on Facebook. 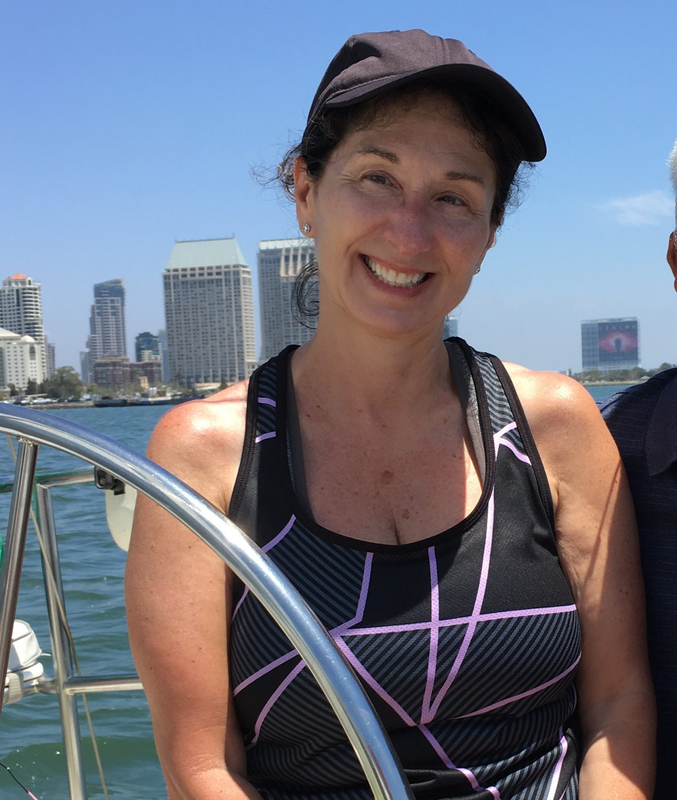 Janet creates & curates her social media impressions from breathtakingly beautiful San Diego. She has written and published hundreds of guest articles for leaders in the real estate market in Washington State, where she lived until early 2011.